Day 27 Rule: Stop using fatty condiments! So a few days ago we discussed how you can ruin an otherwise healthy dish by slathering it with a fatty condiment. We even practiced seasoning with calorie-free herbs to prove that flavor can be found in other places. It’s time to make this standard practice. 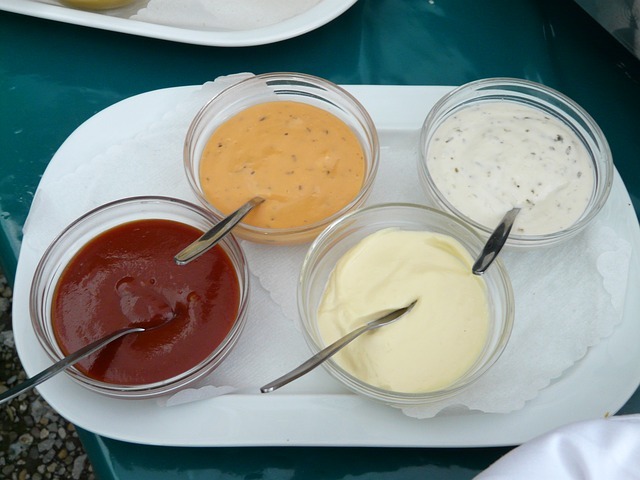 Leave the mayo alone and cut out the creamy salad dressings! Olive oil and other healthy, nutrient-rich fats are ok, but leave the whip cream at the store. Shoot for vinaigrette dressings, citrus-based marinades, and naturally low-cal condiments. Mustard is an awesome example of a multipurpose condiment with next to no calories in it.Worcestershire sauce is another personal favorite of mine. Many hot sauces tend to be low in calories, so review the nutrition facts before you pick up *insert random dipping sauce here*.